Essential Family Medicine (Portland) - Book Appointment Online! 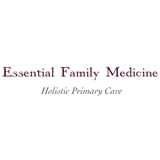 Essential Family Medicine is a primary care clinic located in Portland, Oregon. Our clinicians use Naturopathic medicine and Acupuncture to address both physical and emotional complaints. We enjoy working with people in all stages of life who seek to take an active role in their well-being. Our aim is to guide, nurture and teach you the essential tools to healthy living in a modern world. Very professional, informative and welcoming. I was able to have a cup of tea while i waited, which was less than 10 only because i had to fill out new patient forms. I enjoyed the atmosphere. This was my first time getting a acupuncture treatment and it was great! My body is still relaxed. Im excited for my next appointment!